3 for $60.00 total Need more quantities? Cast a glow over the garden with these hauntingly pretty blossoms. The double flowers (occasionally single to semidouble) appear in an array of forms as the layers of petals unfurl. 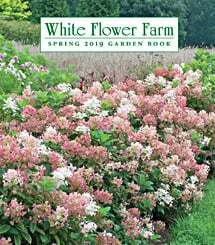 This impressive climber will weave its way into shrubs and cover your trellis with gorgeous white blooms infused with traces of lilac. Pruning group 2. For beautiful colors, extravagance of blooms, and graceful habit, nothing compares with Clematis, the queen of the flowering vines. Whether used on posts or fences, clambering through shrubs and trees, or following wire frames in borders, they will enrich the landscape. Give them good soil, reasonable moisture, and shade at their roots. For more information on Clematis care, click on Growing Guide.